The Center for Effective Philanthropy (CEP) seeks an exceptionally organized, detail-oriented, and enthusiastic administrative professional to support our Programming and External Relations team’s administrative and operational functions. Reporting to the vice president of programming and external relations, this role will provide administrative support while also coordinating several operational initiatives to execute the department’s vital work. You are highly organized and detail-oriented. You consistently produce high-quality, error-free work, reflecting an ability to complete tasks on time with quality and accuracy. You are willing to serve as a key administrative resource and have a desire to go beyond standard expectations in exceptional situations. You are a talented multi-tasker who can successfully juggle multiple work streams and demands. You have a background and/or demonstrated interest in marketing, visuals, and writing, and seek to work in a mission-driven organization. You are a strong communicator, both in writing and speaking. Your interpersonal skills allow you to interact effectively with staff at all levels of the organization as well as external contacts. Others regard you as a fount of knowledge, experience, and someone who is widely read (and yet humble about it). You are full of awesome ideas for conference speakers, blog post topics, and other ways CEP can better reach our audiences. You work well within a close-knit team as well as across other departments at the organization. You are flexible and adaptable in a fast-paced environment. You are also excellent at managing up. Your highly positive attitude, shared commitment to excellence, and thoughtfulness are an asset to CEP. 2 to 5+ years of full-time work experience required; at least three years of full-time, directly relevant administrative experience will be strongly preferred; strong computer/technical skills; demonstrated proficiency in Microsoft Word, Excel, Powerpoint, and Outlook; familiarity with Salesforce, WordPress, and Hubspot a big plus. Outstanding communication skills. Strong writing ability with a keen attention to detail. Strong database management and account reconciliation skills. For 17 years, CEP has led the movement to improve philanthropy through a powerful combination of dispassionate analysis and a passionate commitment to improving lives. Today, over 300 foundations, including eight of the largest 10, have used CEP’s assessment tools to gather honest feedback from their stakeholders in an effort to learn how to be even more effective. CEOs and trustees have come to rely on our research for insights into foundation effectiveness on a wide range of topics, from assessing performance to developing strategy to managing stakeholder relationships. Our highly regarded programming—including our biennial conference—gives foundation leaders an exclusive and unprecedented opportunity to connect with their peers. Strengths of CEP’s work culture are entrepreneurialism, accountability, teamwork, collegiality, diversity, and mutual respect. 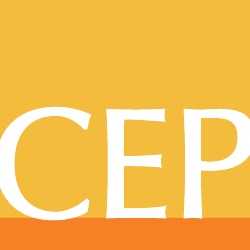 CEP is based in Cambridge, Massachusetts, with a second office in San Francisco, California. This position is available in CEP’s Cambridge office. Please fill out our application for employment and attach a resume and thoughtful cover letter, outlining how your skills and experience meet the qualifications of the position. If you have any questions, please contact Alyse d’Amico, Director of Human Capital and Special Assistant to the President or Leaha Wynn, Associate Manager, Human Capital and D&I Strategist at jobs [at] cep [dot] org. Applications will be reviewed on a rolling basis. CEP is an equal opportunity employer.